On 11 October the EU Commission published the update of the Bioeconomy Strategy in order to accelerate the deployment of a sustainable European bioeconomy so as to maximise its contribution towards the 2030 Agenda and its Sustainable Development Goals (SDGs), as well as the Paris Agreement. 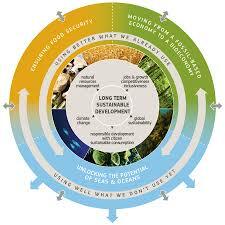 Strengthen and scale up the bio-based sectors, unlock investments and markets. Deploy local bioeconomies rapidly across the whole of Europe. In terms of its environmental benefits, the bioeconomy can contribute to the defossilisation of major industries, such as the energy and transport sectors, the chemical industry (e.g. plastics) and the construction sector (use of wood and its composites with other materials in the construction industry as a substitute for non-renewable building materials, such as steel and concrete with possibly lower use of energy and greenhouse gas emissions).